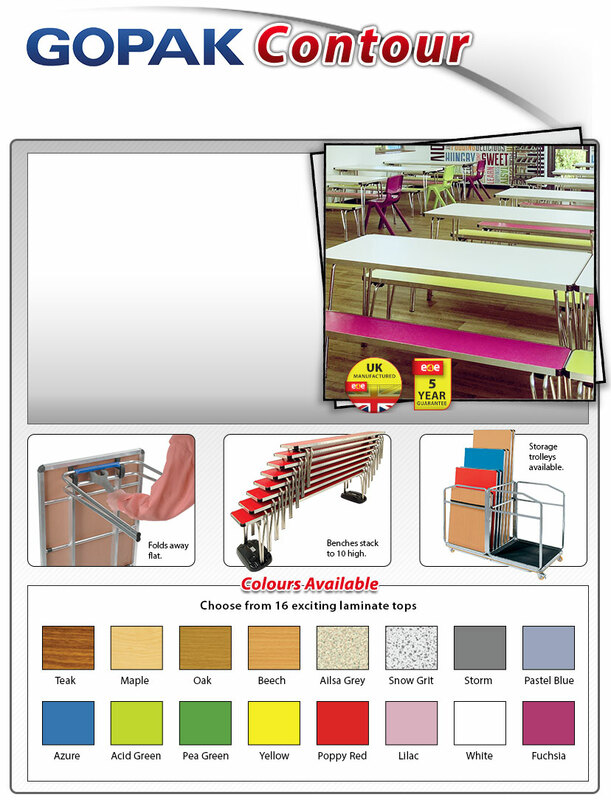 Our most popular range of folding tables and bench seating. 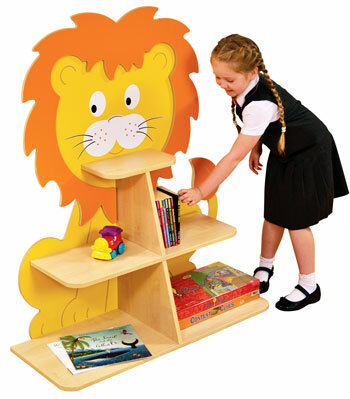 Lightweight and robust, they are ideal for all school and nursery settings. Made in the UK these tables carry a manufacturers 5 year guarantee and are designed to last. Recommended for dining, canteens, childrens groups, outdoor catering, churches and village halls. 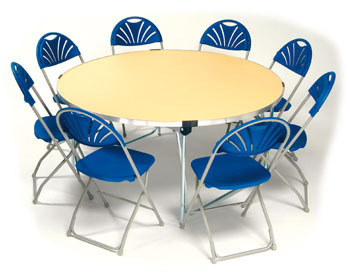 The lightest and most popular style of folding table to be found. 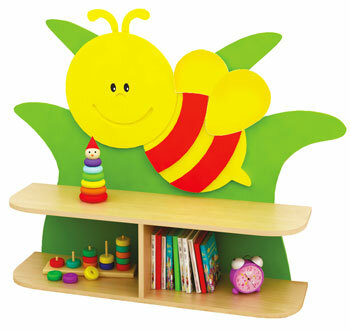 Constructed from aluminium with a wipe-clean laminated top. 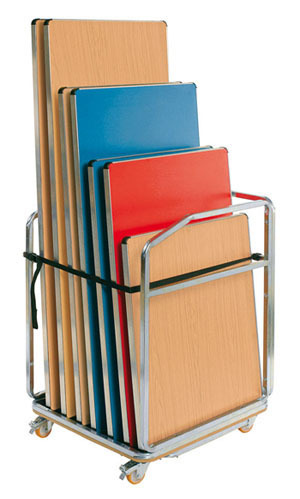 Easy to carry - tables weight from just 6.75kg up to 13.00kg. 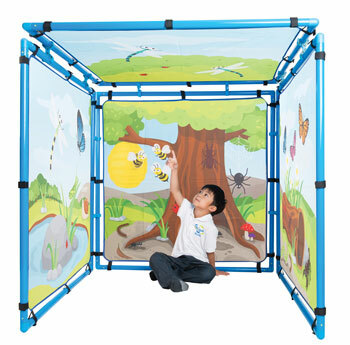 Folds away for storage - ideal for settings with multi-function rooms. Contoured aluminium outer, stylish aluminium frame and folding leg frame. Polypropylene corner mouldings for safety. 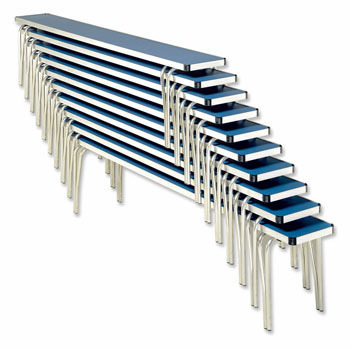 Benches stack up to 10 high. 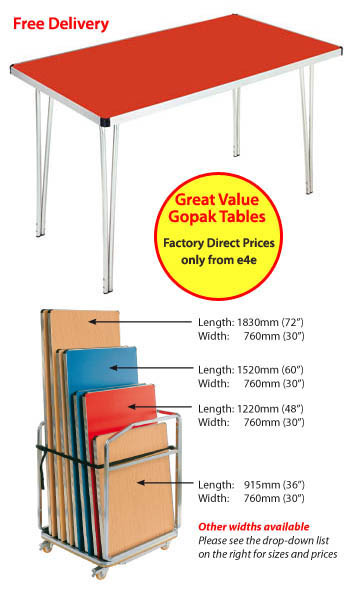 The Gopak Contour range of folding tables are the lightest and most popular style of folding tables to be found. 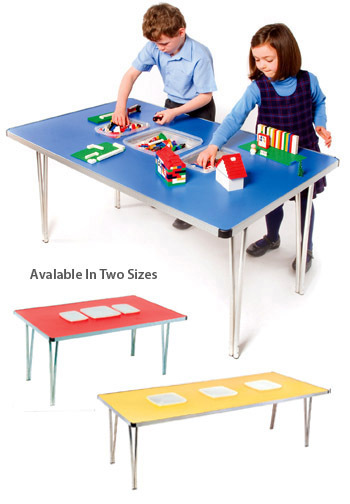 Constructed from aluminium with a wipe-clean laminated top, the tables fold flat for storage and can easily be carried. All GOPAK products carry a manufacturer's 5 year guarantee. The table weight ranges from just 6.75kg up to 13.00kg. The chosen product of many multi-functional premises, the Contour has unique features such as a simple folding mechanism, strong polypropylene corners and smart aluminium edge. 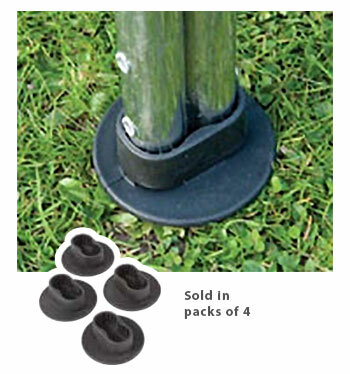 RECOMMENDED FOR: Dining, canteens, youth organisations, outdoor catering, churches and village halls. Gopak Contour stacking benches are designed to partner Contour folding tables in dining areas but are equally useful anywhere where low cost practical seating is required. 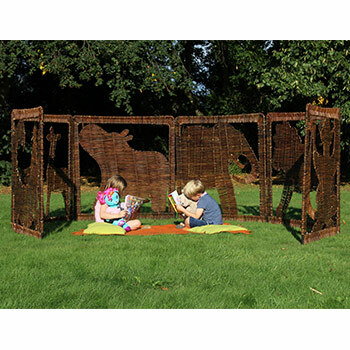 All GOPAK products carry a manufacturer's 5 year guarantee. 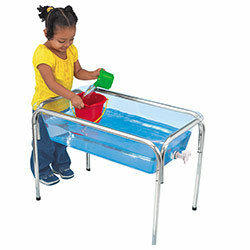 These Gopak Contour folding tables are supplied with clear plastic tubs, including lids. Place small play items into the tub such as Lego, pens, crayons, plasticine, cars and Knex and drop them into the table top. Once your activity is comnplete, just remove the tubs and store them away. 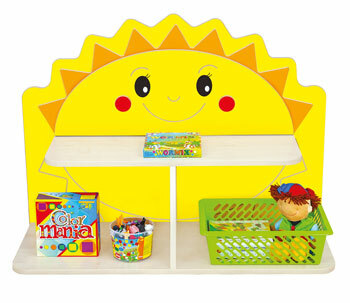 The table can then be folded down and stored in the minimum of space. Replacement plastic tubs with lids. Designed to fit our GOPAK "Contour" Folding Tub Table (GP00100). Minimum order is 3 tubs. 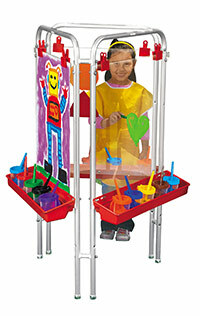 With strengthened legs for extra stability. If you require extra stability from your Gopak table, but weight is also an import factor in your choice, the Contour Plus range meets these needs. 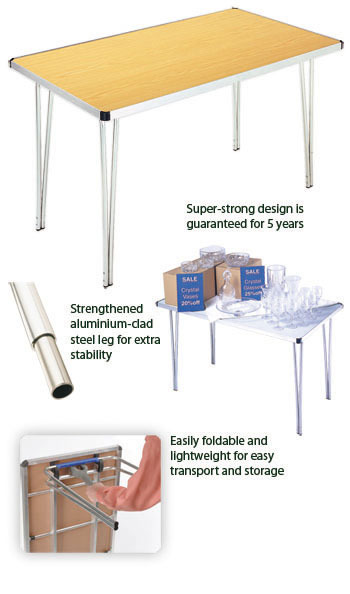 Constructed from aluminium with a wipe-clean laminate top, the difference that sets this product apart is the strengthened aluminium-clad steel tube used in the table legs. 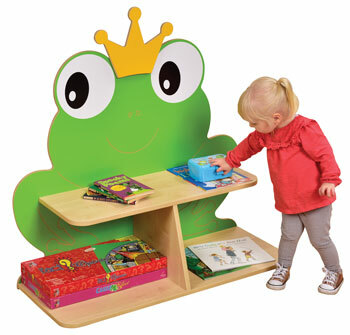 This adds a mere 1.75kgs to the overall weight of the table but offers significantly improved stability. Available in a number of sizes and colours. 5 year guarantee. 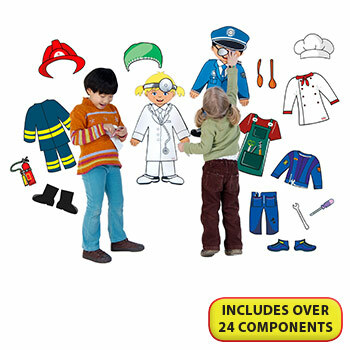 Made to order, please allow 4 weeks for delivery. 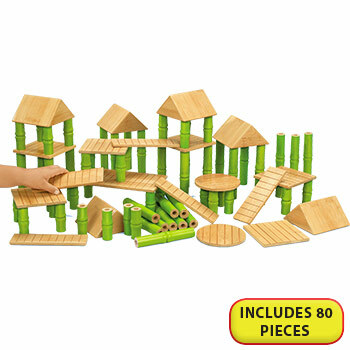 A new Gopak folding activity table with an attractive Play Town design will offer pre-school and primary school children fun and stimulation. Made from a digitally printed, high pressure wipe clean laminate creating a surface which will not rub-off and comes with a five year guarantee. 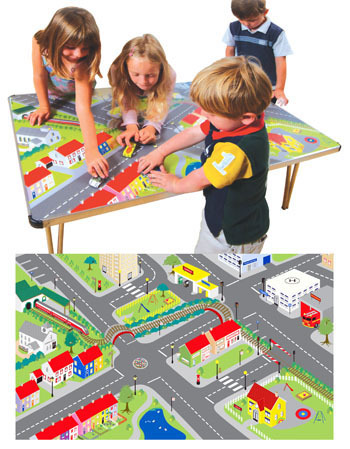 When not used for play, the table can be used for many other activities such as painting, writing and even a fun filled lunch! 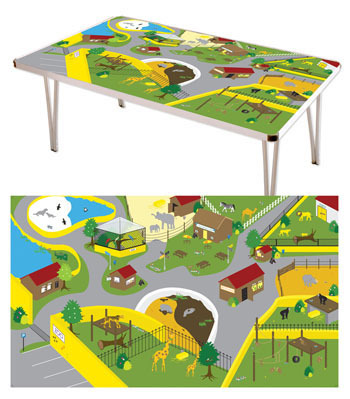 A new Gopak folding activity table with an attractive Zoo design will offer pre-school and primary school children fun and stimulation. 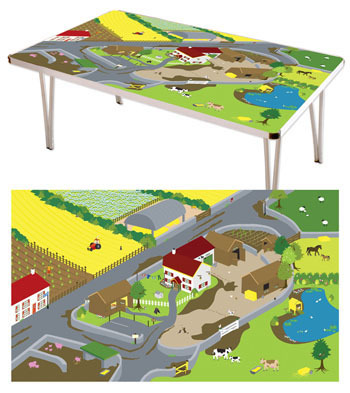 A new Gopak folding activity table with an attractive Farm design will offer pre-school and primary school children fun and stimulation. 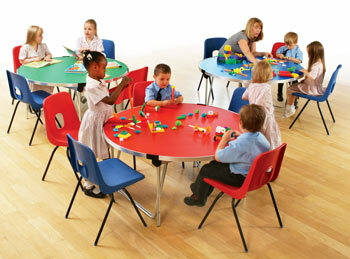 Robust 4ft diameter table with an attractive wipe-clean laminate top. 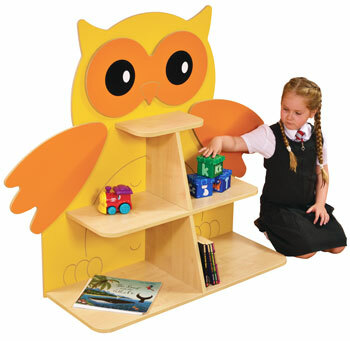 Using the Posi-Lock folding mechanism the table legs fold down and are housed within the under frame. The tables can be rolled on their edge or carried using the leg stay as a convenient hand hold. 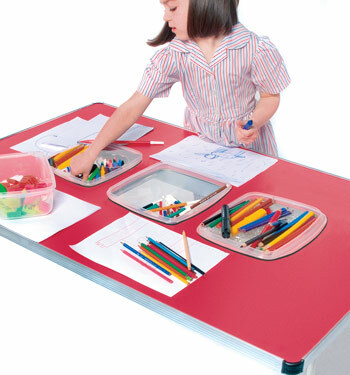 Robust 5ft diameter table with an attractive wipe-clean laminate top. Designed with space and safety in mind. 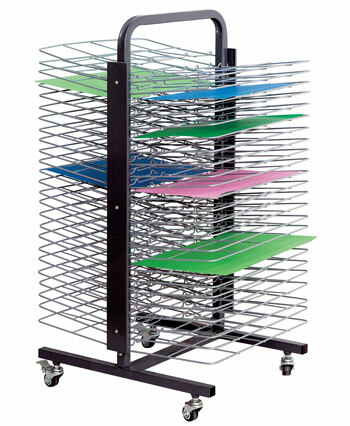 Gopak storage trolleys are the ideal solution for storing your Gopak tables. Not only do they answer your storage needs but also enable you to move your tables, to exactly where they are required, saving time and effort. 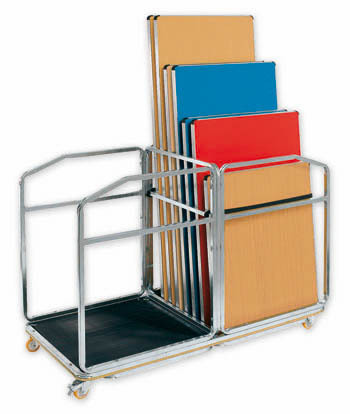 All trolleys come with safety features including storage straps to hold tables securely, brake castors and a non-slip protective mat to ensure your tables remain in pristine condition. 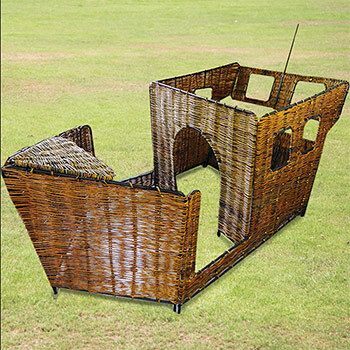 All trolleys are supplied flat packed and accompanied with step by step instructions. 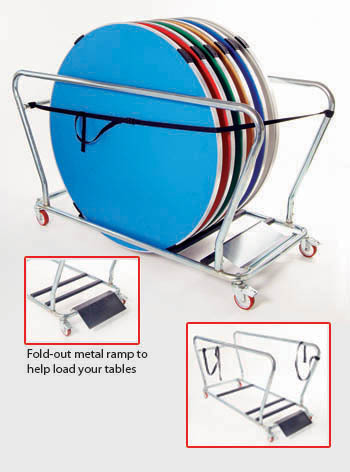 The round table trolley comes with safety features including storage straps to hold tables securely, brake castors and padded support bars to ensure your tables remain in pristine condition. 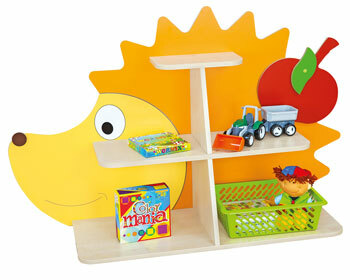 Trolleys are supplied flat packed and accompanied with step by step instructions. 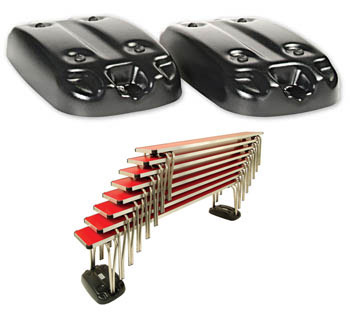 Bench Skate Set consists of two ABS plastic moulded skates. 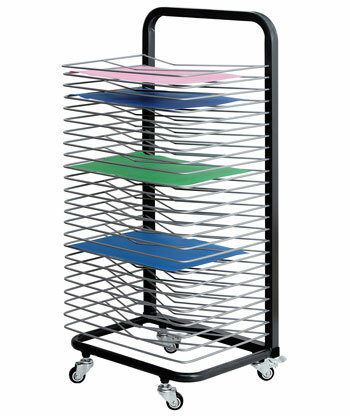 Each skate has four free running wheels enabling you to move your stack of Gopak benches with ease. 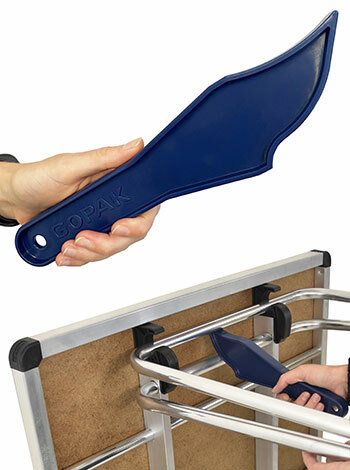 The Fastfold tool assists speedy and easy folding of your Gopak tables. 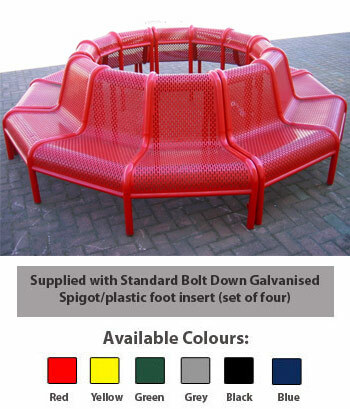 Ensures your tables and benches will not sink into soft ground when used outdoors. Can also be used as floor protectors. Sold in packs of 4.